Lenovo may be joining the wearable fray with a fitness band that can also unlock your PC. It's unclear how the unlocking feature will work, but presumably it'll require some extra software on the Windows side. Lenovo also notes that the PC must be running Windows 8 or higher. 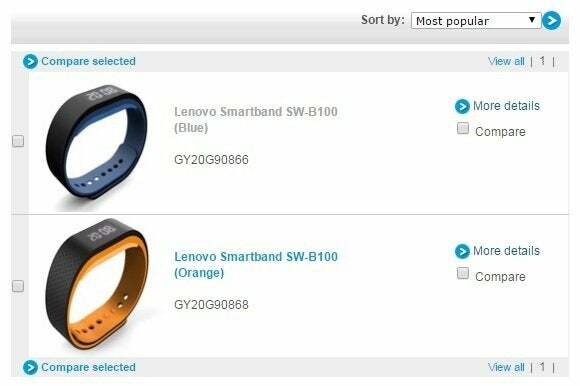 As for other features, Lenovo's Smartband has a small display that can show the time, incoming calls, and SMS alerts, and can remind you to exercise. It can also count steps, estimate calories burned, measure heart rate and monitor sleep, and compile all the data in a companion app for iOS and Android. The description suggests that this won't be a bargain basement offering, but we won't know for sure until Lenovo talks launch details. Why this matters: Fitness trackers are everywhere these days, as hardware startups like Fitbit and Misfit clash with old guard tech companies like Sony and Acer. But at least Lenovo has found a way to stand out. While some fitness trackers and Android Wear smartwatches can unlock your phone, no one's managed to bring that feature to Windows PCs just yet. The intersection between fitness nuts and people inconvenienced by the Windows sign-in screen may be niche, but there could be some enterprise appeal once Lenovo ships this thing.